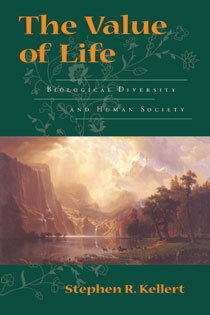 Throughout the book, Kellert argues that the preservation of biodiversity is fundamentally linked to human well-being in the largest sense as he illustrates the importance of biological diversity to the human sociocultural and psychological condition. Stephen R. Kellert ’71 Ph.D., a revered professor of social ecology at the Yale School of Forestry & Environmental Studies (F&ES) whose research and writing advanced the understanding of the connection between humans and the natural world, died on Nov. 27 after a long illness. Kellert, the Tweedy Ordway Professor Emeritus of Social Ecology, who came to F&ES in 1977 and continued to teach following his retirement in 2010, also mentored generations of doctoral, masters, and undergraduate students at Yale. In recent years he helped pioneer the field of biophilic design, an emerging discipline that aims to improve health and well-being by promoting connections between people and nature in the built environment. Those principles would inspire Kellert to propose a new F&ES headquarters that achieved less environmental impact but also made occupants feel more in touch with nature. His vision was fulfilled with the opening, in 2009, of Kroon Hall, a building that boasts, among other things, wide access to natural light and wood harvested by Yale foresters. Throughout the planning and construction of Kroon Stephen Kellert was involved. Read more. In remembrance, we offer the prologue to Stephen's book, The Value of Life.